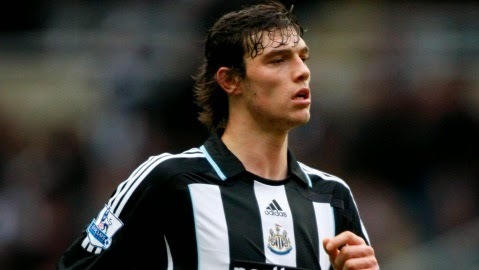 Carroll left Newcastle for Liverpool in the January transfer window in 2011, however struggled at Anfield, before joining West Ham United. Carroll faces his former club Newcastle on Sunday and Pardew believes he will return to St James's Park, although not in the near future. "I think he would [want to come back to Newcastle], and I hope he does come back to his home town. He has got that love here. I really enjoyed working with Andy. "I think he's a terrific player," Pardew told reporters. "I know we get linked with him every two weeks, which is probably always going to happen whether it's me or another manager. "So I'm not going to hide from the fact that I like him. I think he's a good player. I'm pleased that he's fit and not injured, and that's been his biggest problem since he left us. "I'm not sure that it's something that's imminent for us in this window, because he looks fairly happy to me at West Ham. "I think it's difficult to take players who are happy out of Premier League teams. It's financially difficult. " Newcastle will look to record a sixth league win in a row when they travel to Upton Park on Saturday, which could see them move into the top four of the division.